The tour starts with a pickup from your Nadi or Denarau Hotel or Resort by coach to transfer you to Port Denarau. Coral coast and Lautoka additional charge. 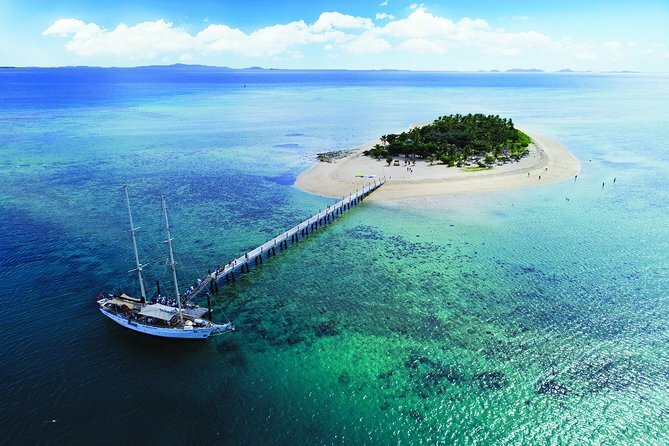 You will then board your tall ship for the 1.25hr sail to Tivua island complete with morning tea and music. 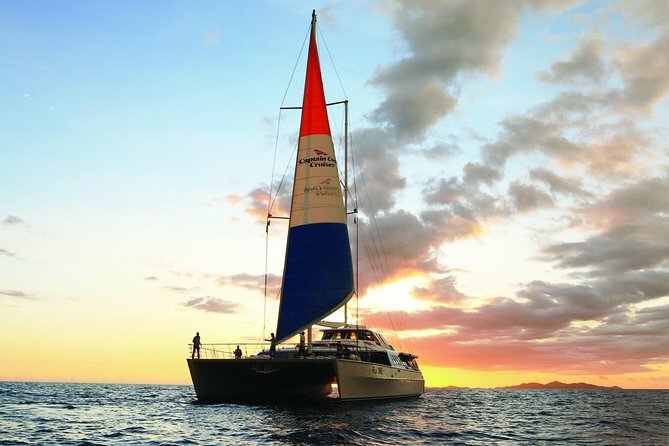 Complimentary Coach transfers from Denarau & Nadi Resorts then Sail out from Port Denarau around Nadi Bay and experience an incredible tropical sunset, weather permitting. Sail to Denarau Beach as the sun sets and drop anchor with the back drop of the Denarau resorts while you have dinner at a beautifully set table. Marriott Bonvoy Activities and the programs and products provided under the Marriott Bonvoy Activities brand are not owned, developed, or sold by Marriott International, Inc. Marriott Bonvoy Activities uses the Marriott marks under license from Marriott International, Inc. and its affiliates. © Copyright 2019, Marriott Bonvoy Activities. All rights reserved.